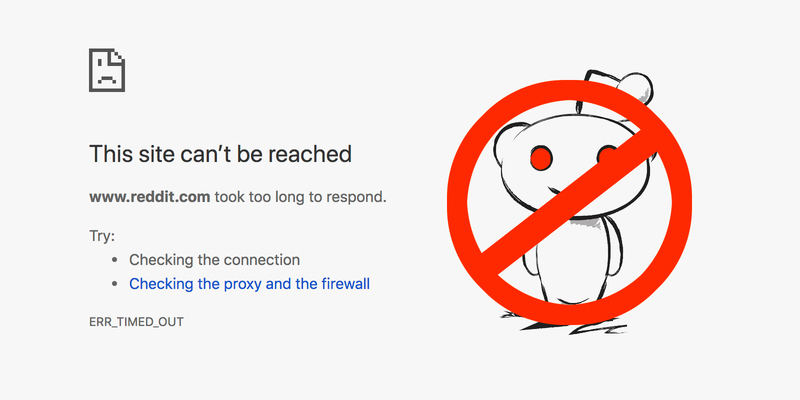 Reddit, one of the most popular websites on the internet, is now blocked in China. Along with other popular sites such as Google, Facebook, YouTube, Twitter and most recently, BBC, Reddit is now banned from the internet users in Mainland China by the so-called Great Firewall. Why Reddit was blocked in China is still unknown. But because the Great Firewall never publicly announces its decisions or offers any explanations, probably nobody will know the real reason. Although there are some subreddits that are related to China or allowing discussions in the Chinese language, those contents are usually not very political, as compared to those of other social media sites. Also, it seems like Reddit doesn’t have a huge amount of Chinese user either. That’s probably why this site had been accessible from China for many years. But who knows what had triggered the Great Firewall recently to let Reddit become its newest target. As reported by many users and verified by us from mainland China, now Reddit is blocked in China. Given that Reddit is now banned, how to access it from China? Well, probably VPN is still your best friend. It should be pointed out that China’s cracking down on VPN has also been getting heavier. Although there’re still some VPNs that work relatively well in China, such as ExpressVPN and VyprVPN, most other VPN services are completely blocked in China. Very recently, BBC’s website was also blocked in China. After switching its main URL from http to https, the new version were blocked as well. All of these indicates that the internet censorship in China is not becoming softer at all. As a website dedicating to testing VPNs to help people bypass internet blocking in China, we will keep you updated about new developments. This entry was posted in News and tagged block, news, reddit. Bookmark the permalink.